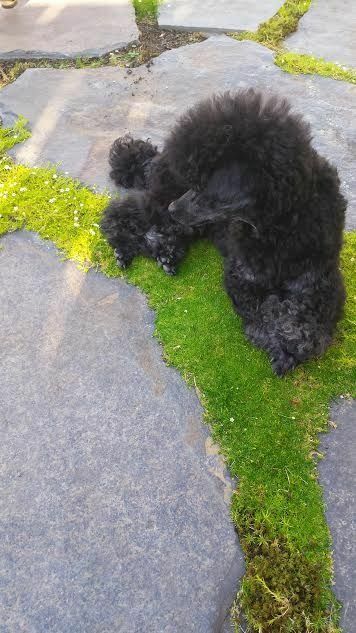 rip Josie - Page 3 - Poodle Forum - Standard Poodle, Toy Poodle, Miniature Poodle Forum ALL Poodle owners too! What a wonderfully written good bye to both your dad and his beloved dog. So sorry for your losses. Take your time to heal. And now, in turn, she watches over you. Steady as she goes, dear Josie ❤️. We'll keep the watch here on Earth; you manage futures from the Bridge now, love. I am sorry for your loss. I loved reading your story and could feel all the love you had for her and for your family. I am glad you all had each other! Thank you so much for sharing this beautiful story of love with us. Thank you for being such a loving caring daughter. Our German Shepherd pup was the last gift that my husband gave us before he died. The shepherd lived for 16 years and losing him was very difficult. Of course, at 16 years his loss was not unexpected, but it brought up a lot of memories. I love that your dad worked for Habitat for Humanity. It is such a kind gift for his fellow man. I'm so sorry for your loss. What a painful thing it is. But oh my...you wrote a beautiful tribute. And your love just shines. That's what we must hold onto to make us smile. Lots of healing time yet to go. I wish you all the best.